Over 400 Attended the 2015 Conference in St. Louis, MO! View the photos from the 2015 Conference in the Americas. Over 440 Attended the 2014 Conference in Houston, Texas! To access the photos from the 2014 Conference in the Americas, Please visit http://www.enjoyphotos.com, and use the following information: Username: ahrd2014b and Password: 5630. Use your email address to download the photos after you purchase them. The website asks that you purchase the photos. The fee is $0.00. This is the process used to download the photos. You will be sent an email with an opportunity to download the photos "purchased" (it's free there is just a cost assigned of $0.00) via the email. You have two opportunities to download. If you need to download more than twice per photo, simply access the photos via www.enjoyphotos.com and "purchase" again. The Academy's 18th Annual International Research Conference in the Americas was a tremendous success with over 350 participants from across the world. Participants included national and international HRD thought leaders and HRD practitioners, graduate students, and university faculty. The organizations represented include national and international universities, nonprofits, governments, and corporations from around the world. 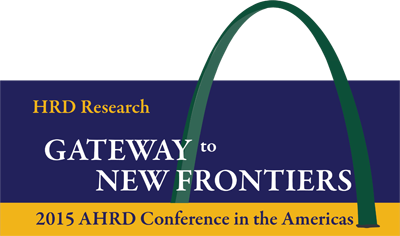 President Lane Morris wrote a State of the Academy letter for the members who attended the AHRD International Research Conference in the Americas in Knoxville, Tennessee in February. Lane completed his two year President term on the Board of Directors. We thought we would share this with you.